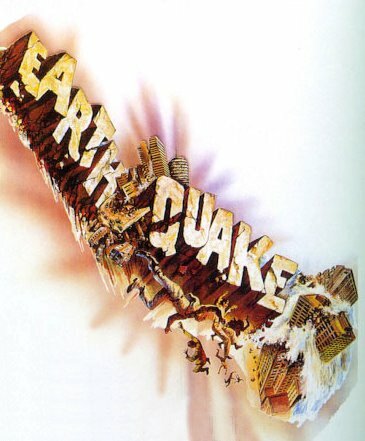 We just had a small earthquake here in San Francisco. It was only a 3.4 but it shook my third floor office (and my beta fish) pretty well. Earthquakes have freaked me out ever since I was at work during the big 6.5 quake in Paso Robles. It wasn’t so much the big quake but the weeks of constant aftershocks that drove me crazy. So, in order to recover from this harrowing experience I am tuning into the online bliss that is Pandacam. Watching his holy-roly-poliness tumble around and sleep is better than a cocktail of prozac, gin and zoloft combined.